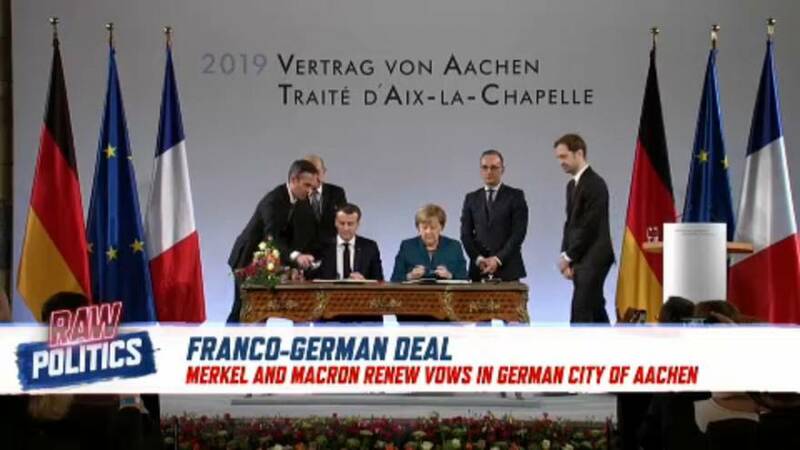 France and Germany signed a new friendship treaty today in Aachen, Germany. The renewed pledge of solidarity was made exactly 56 years after the two countries signed a pact in the same city, ending their historic rivalry. In their new treaty, President Macron and Chancellor Merkel promised to deepen economic, military and cultural ties, while standing up against the rise of populism. Critics of the agreement argued that the two countries must make bolder statements to ensure that Europe's voice makes a global impact.